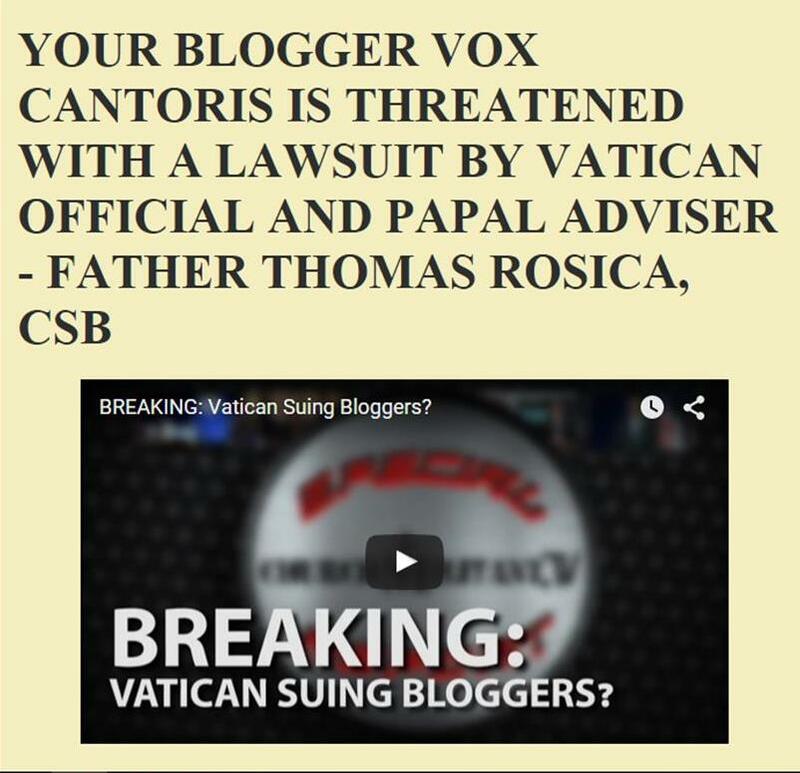 Vox Cantoris: Cardinal electors "shall further abstain!" Cardinal electors "shall further abstain!" The problem is, once a Pope is Pope, he's Pope and if a Pope got in by political manipulation, there's little chance of this law being enforced. Especially since no-one can depose a Pope once elected. I suppose the only way to really enforce this is to automatically delay the any Pope-elect from taking the seat for a period of time (say 1 month) while an investigation is made to ensure no collusion. This is all common sense, flows necessarily from God's Law and Natural Law. Penalties, including excommunication, intended for Cardinal Electors can almost never be effected, since what is happening here is happening at the very top of the hierarchy, often in a situation when there is no Pope. At the very top everything is just power play, get used to it. This has always been the case and always will be. Cardinals conspire against each other and against the Pope and blackmail is a normal part of this business. The good thing of it is that in reality a Pope has only limited power and can inflict only so much harm on the Church as his power base permits. The official theory, that the Pope holds all the power and can make decisions on his own is just theory, nothing else. In pragmatic terms, you are of course correct. But in ontological terms, we know that excommunicated cardinal-electors are really, objectively unable to take part in a conclave. Their votes simply don't exist in a very real sense. And that implies that the man so elected may not actually be the pope. As I keep saying, this seems worthy of a little investigation. Pragmatically, of course, we may simply have to wait this papacy out, never learning whether or not it is valid. And we pray that the next conclave does not suffer from the same machinations which cast a cloud over the previous one. But that's the point: the excommunications for interfering with a papal election are latae sententiae, meaning that they're imposed automatically, no declarations or actions required. It's not a matter of waiting around for some future authority to declare that these men are excommunicated; if they attempted to manipulate a papal conclave, they were excommunicated from that moment and their votes didn't count. If they have not sacramentally confessed their crime and had the excommunications lifted, they remain excommunicate to this day. It's all very well to strike a world-weary pose and tell us that things have always been thus. Yes, we know. But in UDG, St. John Paul II invoked the Church's power to bind and loose in order to impose automatic and very real penalties on those who canvass for a particular candidate at a papal conclave. If we believe the Church has this authority, we are obliged to follow the logic to its conclusion.